Jotun was announced and then later released in 2015 by Thunder Lotus Games, I only recently got around to pulling it from my backlog. I got the Valhalla Edition on Steam and played through it in time for its second anniversary. 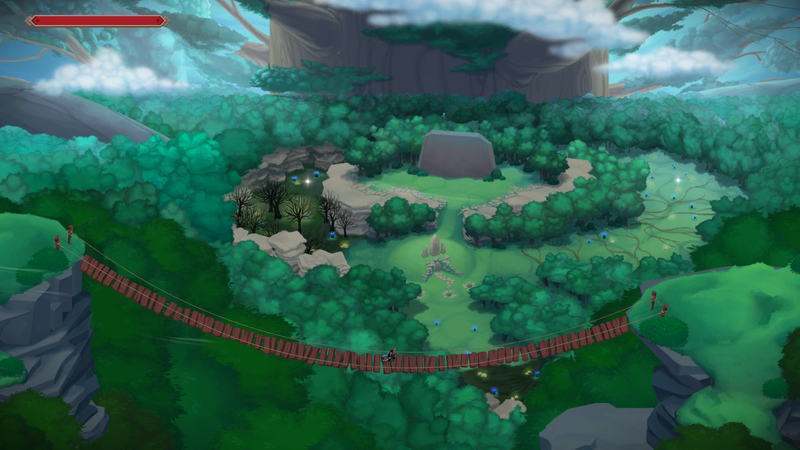 As you can see from the image above, Jotun’s most distinct feature is a beautiful, hand drawn art style. The game also features a wonderful balance of rich storytelling and challenging battles. The game plays out like a gorgeous picture book perfect adults curious about Norse mythology. The details are accurate, the names are real, and the whole experience makes me more excited to learn more. After playing, I want to check out Neil Gaiman’s Norse Mythology book. Not only am I fascinated by Norse mythology, I enjoy a hearty challenge. That makes Jotun a perfect combo for me. 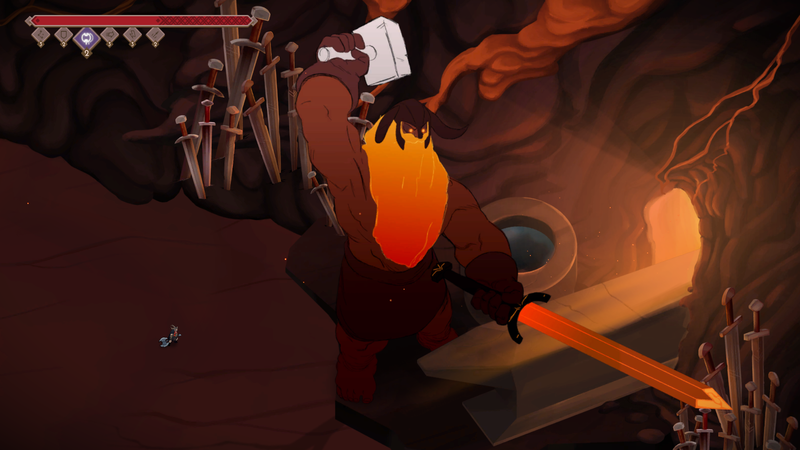 Jotun focuses on the struggle of a recently deceased warrior attempting to prove her right to enter Valhalla. Thora, our stoic protagonist, unfortunately lost her life in a ship wreck during a storm. This would be a tragedy for anyone, but her Norse beliefs disallow her from entering Valhalla due to a death outside of glorious battle. A unique opportunity is then presented and Thora has one chance to prove her worth and valor to the gods. She must enter the realm of Ginnungagap to duel and defeat the mighty Jotun to earn Odin’s favor. In Norse mythology, the jotun are a race of giants, most identified as the frost giants. They are often portrayed in rebellion against the better known Norse gods, like in the Marvel movies. This game includes several giants who each represent different elements. This keeps the worlds and boss encounters feeling fresh. Actually Playing Jotun is Also Great! As you explore each of the levels, you find several empowering and storytelling sites. Shrines grant you the favor of specific gods, as well as powers granted by that favor. Powers range from healing and speed boosts, to enhancing your axe with the power of Thor’s hammer. Powers and divine favor help Thora on her journey to enter Valhalla. Battles are cinematic and awe inspiring. Bosses tower over Thora, and it can get difficult to keep track of yourself in the chaos. This sets the scope of the encounters. Scale invokes the type of overwhelmed and frantic feelings that someone might experience while battling a minor god. Powers give you some edge, but the battles are each calculated grinds where you chop down your massive foes. Bosses have choreographed attacks that you learn, but the simple control scheme doesn’t make it easy to avoid attacks. Your movement speed reflects the fact that it will take you several strides to match one of the jotun’s giant steps. Battles require learning patterns and careful movement. With this attention to detail, you can find openings and attack while avoiding the arcs of destruction. There are only a handful of bosses, but each feels different from the last. They force players through the process of learning and developing a strategy. I’m sure with some time and dedication, someone could best these bosses in the boss rush Valhalla mode, but the first time through is a fulfilling challenge. I enjoyed the challenge, but the main draw of this game is the gorgeous art direction and story. I love Norse mythology and solid game examples of it are only now becoming more prevalent. Jotun is great enough that anyone will be interested in the story, but it allows you to learn more through exploration and observation. 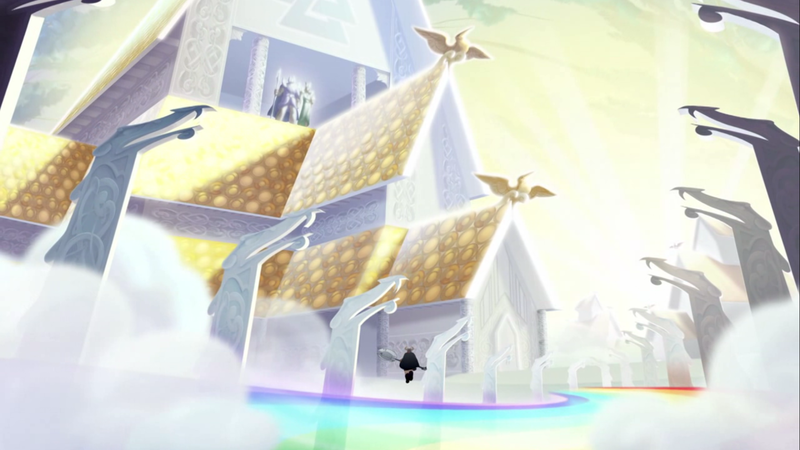 It doesn’t go into the massive detail that it could, but it could make someone more curious about the rest of its base of mythology. The game over screen is a spin on the classic “You Died” Dark Souls screen. 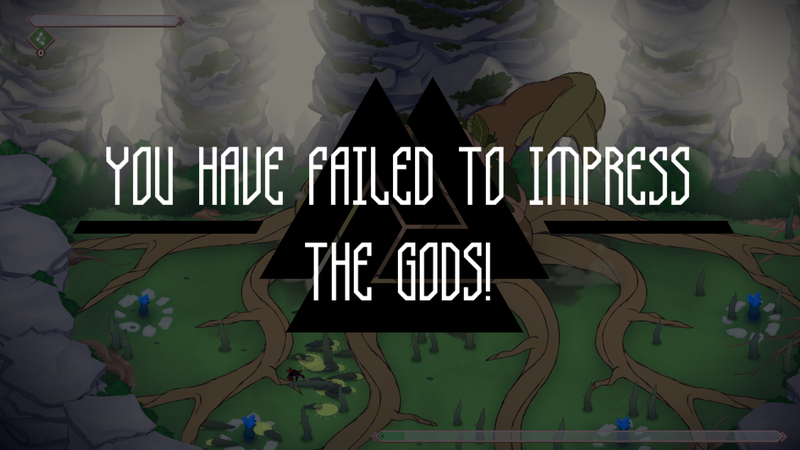 But, “You have Failed to Impress the Gods,” is perfectly in tune with the story and will help keep you motivated. Even though this game is available on the Wii U, it would be a welcome addition to the Switch library.